OBJECTIVE: To determine whether clinical improvement in lateral epicondylosis (LE) is associated with normalisation of magnetic resonance images (MRI). PATIENTS AND METHODS: Twenty-four adults with refractory LE took part in a double-blind, randomised, controlled trial. 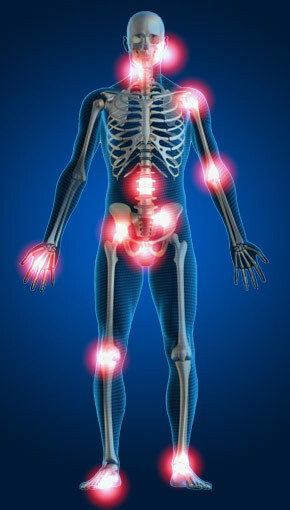 Participants received prolotherapy or saline (control) injections at baseline, 4 and 8 weeks. Participants were assessed with clinical (0–10 visual analogue scale) and functional (grip and isometric strength) measures and scanned using an Artoscan 0.2 Tesla scanner, at baseline, 8 weeks and 16 weeks. The primary MRI outcome was an ordinal 0–3 severity grade based on common extensor tendon T1 and T2 signal intensity. Secondary MRI outcomes were the T2 area of pathology and a global impression of disease severity change. RESULTS: The clinical results have been published. Prolotherapy subjects, compared to controls, showed significant and clinically dramatic improvements in pain and biomechanical outcomes. In the current analysis, all participants showed similar MRI-demonstrated severity at baseline consistent with LE. While prolotherapy subjects clinically improved compared to controls, primary and secondary MRI outcome measures did not change compared to either baseline status or control participants. CONCLUSIONS: There was a non-association between MRI-based severity and clinical severity at baseline and at 8-week and 16-week follow-up despite dramatic clinical improvement in response to prolotherapy compared to control injections. Future studies may benefit from a stronger MRI and follow-up time of more than 16 weeks. Clin J Sport Med. 2008 May;18(3):248-54. The efficacy of prolotherapy for lateral epicondylosis: a pilot study. Scarpone M, Rabago DP, Zgierska A, Arbogast G, Snell E. Department of Family Medicine, University of Wisconsin-Madison, Madison, WI 53715, USA. OUTCOME MEASURES: The primary outcome was resting elbow pain (0 to 10 Likert scale). Secondary outcomes were extension and grip strength. Each was performed at baseline and at 8 and 16 weeks. One-year follow-up included pain assessment and effect of pain on activities of daily living. RESULTS: The groups were similar at baseline. Compared to Controls, Prolotherapy subjects reported improved pain scores (4.5 +/- 1.7, 3.6 +/- 1.2, and 3.5 +/- 1.5 versus 5.1 +/- 0.8, 3.3 +/- 0.9, and 0.5 +/- 0.4 at baseline and at 8 and 16 weeks, respectively). At 16 weeks, these differences were significant compared to baseline scores within and among groups (P < 0.001). Prolotherapy subjects also reported improved extension strength compared to Controls (P < 0.01) and improved grip strength compared to baseline (P < 0.05). Clinical improvement in Prolotherapy group subjects was maintained at 52 weeks. There were no adverse events.